When the King is the servant everything is necessarily upside down. I’m catching up on my blog reading, and my belated reading of this particular post was timely. 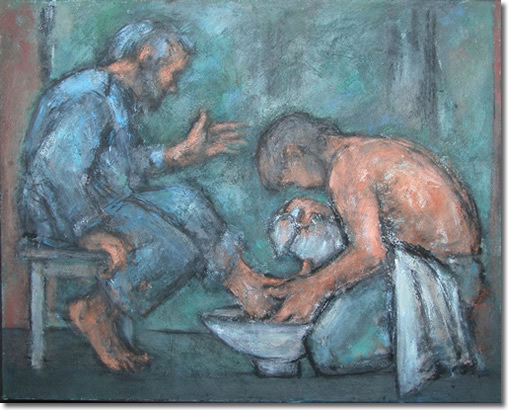 Thank you for the reminder that the higher calling is not convincing each other of anything but washing each others feet. It’s humbling, and a little uncomfortable, but so needed. This is beautiful. Who is the artist?